Sleeping Through War is one of those books that I can’t just run to my computer and write a review for. It’s a book I have to ponder because it’s very thought provoking, and it’s really makes you think. It’s set in May of 1968. It’s a very volatile time around the world, and the author includes chapters of real-life events that are happening in the world while the story revolves around three very different women. Each woman deals with social issues at the time: women’s issues, racial issues, and the war in Vietnam. Readers first meet Amalia who lives in Portugal. She is a widow as well as a single mother, and sewing doesn’t pay the bills. She had to make choices that sadly many women have had to make throughout history to provide a better home for her child. She epitomizes what true love is for a child…giving up parts of herself to provide him with a safe environment. Many would view her as weak, but I didn’t. She was a strong woman who was doing the best she could do with the choices she was given. Rose lives in London. She moved from St. Lucia to be a nurse in a nursing home, caring for older, white patients. She is faced with prejudice every day based on her skin color. She always manages to rise above it, showing kindness to those around her. Some others in her situation may not have the patience or kindness in their hearts like she did. Again, some would see that as a weakness. Like with Amalia, I saw it as strength. Instead of bitterness, she chose to find her own happiness, not dependent on others. Mrs. Johnson is a mother who has a son serving in Vietnam. Unlike with Amalie and Rose, much of what we learn of her life is in the form of letters written to her son. She tells him about life at home, but she also voices her uncertainty of why her son and so many other young men were in that war. She was married, but she showed a strength her husband didn’t have. The book was emotional, and at times, it was very sad. I thought it was well-written and written with a lot of detail. I felt like I was in Portugal with Amalie, in London with Rose in her small apartment, and with Mrs. Johnson in Washington. Each woman was from a very different background, yet they each illustrated a strength in situations they found themselves in and the way each of them chose to face them. Hello, everyone. Thanks for stopping by. Dr. Vlad Templeton here. I spent several years of my childhood here in Mercy, Mississippi before I moved away. Back then, Lily Gayle Lambert, Dixie Newsom and Ben Carter were my only friends. I didn’t get out much back then. I came back here because I was looking for a small town where several generations of people still lived and the population hadn’t changed much since the early days of the county to conduct a state funded sleep study. 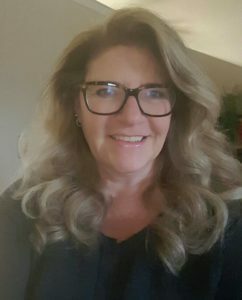 I’m looking for a genetic connection to sleep apnea. It could be groundbreaking in the scientific community. Right before I could get my study up and running, the bank president turned up dead on my doorstep. Well – actually my front porch. What a way to start a business? Right? My old friends Lily Gayle, Dixie and Ben solved that mystery before it could completely upset my study. I think Ben would have preferred to solve it without the help of the ladies. He’s the county sheriff after all. But Lily Gayle is his cousin and she always was pretty headstrong. What’s a guy to do? So, now, I’ve got my study up and running and I’m getting some very interesting results when I find out another one of the men in town who’d signed up for the study has been found dead at the farmers market down the road. And, of course, Lily Gayle and Dixie are the ones who were on the scene of the discovery. Along with Miss Edna. Then, Lily Gayle comes up to the house and tells me she’s met a fortune-teller on the road in the middle of nowhere who told her to beware the vampire blood. That give me pause. The only people around here who know what that means besides me are Lily Gayle and Ben. Who is the fortune-teller and what’s she up to? 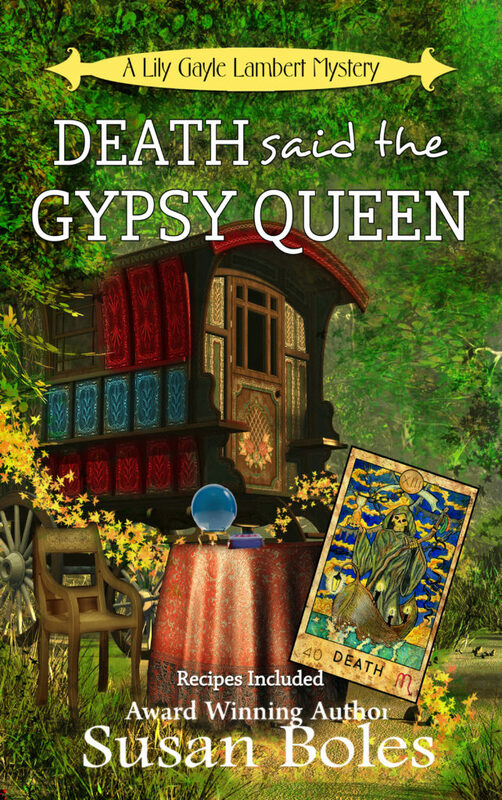 Y’all check out Death said the Gypsy Queen to find out.